Home » General Health » What Causes Low Platelet Count (Thrombocytopenia)? Thrombocytopenia is the medical term used to describe a low platelet count. Blood platelets are the tiny cells responsible for clotting the blood when you cut yourself. They help stop bleeding by clumping together and acting as plugs when you experience a blood vessel injury. When platelet counts are low, thrombocytopenia can set in and leave you at risk, most dangerously for internal bleeding. Platelets are just one of many cell types that make up the blood floating through your body. They are colorless, while the other components of blood, white cells and red cells, are characterized by their hue. Often the result of another health condition, thrombocytopenia typically appears alongside severe illnesses like leukemia or other illnesses that impact the immune system. But sometimes, it can result from either taking certain medications or exposure to environmental toxins ranging from alcohol to pesticides. It’s quite possible that you could experience thrombocytopenia without ever really noticing it; more often than not, there are no signs or symptoms. When it’s a mild case, platelets may rebuild independently; however, more severe cases require medical attention. What Are the Symptoms of a Low Platelet Count? What Causes Low Platelet Count? There are varying degrees of severity for low platelets, and the signs and symptoms are slightly different for each. If it’s a very minor case, such as what some experience during pregnancy, you may never know. In other incidences, if your immune system is battling a virus or disease, the symptoms may be pronounced. When you see these symptoms appear, it’s recommended to seek a doctor for further examination as soon as you can. Although some causes of thrombocytopenia are temporary and not particularly severe, other causes can be quite damaging if not addressed medically. Low platelet count can be caused by multiple factors, and in many cases, it is easily reversed. Changing your medications or diet, or addressing the health condition behind the lowered count may be accomplished rather quickly. For cases where platelet production is the focus of care, medicines can boost counts in a hurry as well. Therefore, mitigating the risk of thrombocytopenia is quite possible when the appropriate diagnosis is made and action taken immediately. A variety of medications have the ability to thin your blood and lower the count of blood-clotting platelets. Such drugs range from prescribed anti-clotting drugs, taken by those with frequently occurring and potentially dangerous blood clots, to over-the-counter pain pills. Prescription antibiotics can also lead to thrombocytopenia. Glycoprotein IIb/IIa inhibitors like abciximab, eptifibatide, and tirofiban. There are a wide range of medical issues that can affect your risk for thrombocytopenia, and they will either reduce platelet production or accelerate their breakdown. Blood platelets are produced in the bone marrow and remain in the blood for roughly 10 days until they are naturally destroyed. In healthy people, they are always being produced——so you will almost never be at a shortage. However, certain cancers that affect the bone marrow can limit production, and these include bone marrow cancer, leukemia, and other varieties that make their way into the marrow. Spleen health and function can also impact the amount of platelets in your blood. If the spleen becomes enlarged, it can trap platelets inside so that they are not properly released and dispersed throughout the body. Conditions that can lead to an enlarged spleen include blood cancers like leukemia and myeloproliferative neoplasms, and lymphomas like Hodgkin’s disease. Metabolic disorders can also cause pressure in the spleen and lead to clotting, particularly Gaucher’s disease and Niemann-Pick disease. Lastly, other conditions, including viral infections, can lower platelet count and speed up their breakdown. Platelet support can be aided or hindered by the food choices you make. Certain ingredients like quinine—found in tonic water and sports drinks—can reduce platelet counts, whereas deficiencies in nutrients like iron, vitamin B12, and folate (B9) can also limit production and lifeline of blood platelets. Sufficient calcium, vitamin D, and vitamin K intake may also help maintain healthy platelet counts. Alcohol has been found to temporarily slow the production of platelets. It works as a blood thinner; and the more of it you drink, the greater effect it will have on your platelet levels. This is not necessarily an issue if you have a couple of drinks occasionally, as the effects on platelet production are temporary. However, if you consume a large amount of alcoholic beverages regularly or suffer from alcoholism, you may be at greater risk for thrombocytopenia. The likelihood of low platelets is intensified in heavy drinkers as most are also low in vitamin B12, iron, or folate. Pregnancy can also lead to a mild, temporary reduction in platelet count and production, but amounts typically go back to normal after delivery. Only about five percent of women experience low platelet counts during pregnancy. One way to help prevent it is to make sure you’re taking in adequate folic acid. Some hereditary or genetic conditions impact platelet production and lifespan. A couple of these conditions are Wiskott-Aldrich and May-Hegglin syndromes, and will be diagnosed by your doctor. Certain viruses can influence platelet production and accelerate their breakdown at various stages of infection. Some cancers are more likely to lead to lower blood platelets than others, particularly if they reach the bone marrow or directly impact blood. In addition, treating cancer with chemotherapy can also have a negative effect on platelets, so it’s something that needs to be monitored quite closely. These types of cancer can have more marrow involvement, increase the spleen size, compromise your immune system, and accompany other symptoms. Environmental toxins can also play a role in platelet count, and they can be both naturally occurring and man-made. Their effect usually comes by way of exacerbating an existing autoimmune condition. These can include products like pesticides, herbicides, plastics, toxins produced by grains and mushrooms, polyurethane, and wood preservatives. Try to minimize exposure to these toxins by eating organic and controlling your environment. Diagnosing thrombocytopenia may be a multi-step process that starts with a visit to the doctor. You may have visited the doctor to address another issue, or perhaps were noticing symptoms like unexplained bruising or rashes. First, the doctor will ask you about any over-the-counter medicines or herbal supplements you may be using, or if you regularly drink beverages containing quinine. They will likely continue to ask questions regarding eating and drinking (alcohol) habits, as well as assess your HIV/AIDS risk. You can also expect the doctor to feel around your abdomen for signs of an enlarged spleen, and take note of other symptoms that could signal an infection (such as a fever). You may be required to see a hematologist (blood specialist) to analyze blood samples via a couple of different tests—blood smears and marrow health—to provide a proper diagnosis. Essentially, you will not be able to diagnose thrombocytopenia on your own; you will need a medical healthcare professional. The treatment you will receive for thrombocytopenia ultimately depends on the severity and cause of the condition. If there is no excessive bleeding and platelet counts are not dangerously low—or are still within a safe realm—treatment may consist of little more than monitoring the situation. Your doctor may schedule some follow-up tests and ask you to pay attention to new bruises or markings. You will be asked to alert them if you notice changes prior to your follow up. In more severe cases where bleeding is heavier and platelet counts are lower, thrombocytopenia is treated with medicine. This is typically the first recommendation offered by doctors, and has the potential to work nearly instantly. Corticosteroids are most common and can help increase platelet count relatively quickly. They are not habit-forming, but some may experience a relapse after discontinuing use. If they do not work for you or you are taking another medication that may inhibit their efficacy, doctors may use injections of rituximab, immune globulin, or anti-RH (D) immunoglobulin. Additionally, increasing platelets may simply be a matter of changing an existing medication, which is why it’s so important to tell your doctor about any current health conditions or medications you are taking. Certain cases may require you to undergo a splenectomy. You’ll likely be treated with medication to restore regular spleen size and function. But if it is ineffective, the only way to return blood platelets to normal levels may be to remove the spleen. Once again, this is more likely in extremely severe cases of thrombocytopenia. If platelet counts are manageably low and you don’t need medication, or are looking to complement medical treatment, you could focus on improving your nutrient intake. Making sure you’re eating and absorbing vitamin B12 is an area to focus on, using beef, salmon, tuna, yogurt, and turkey as primary sources. Folate can be found in leafy greens like spinach and asparagus, as well as avocado, lentils and beets. Basically, try to limit processed foods and eat an array of fruits, vegetables, fresh meats, legumes, and healthy fats. If you’ve noticed some unexplained bruising that seems to be taking a very long time to heal, the sudden appearance of a rash, or some added pressure in your abdomen, you may be concerned about thrombocytopenia. It’s recommended to visit your doctor, who will examine your symptoms and address any causes that may pose a bigger health threat. Since you won’t be able to diagnose this condition—or the illnesses associated with low platelet count—on your own, a medical intervention is necessary. Before you go, take note of any medications or supplements you’re taking to offer the best chance for an accurate diagnosis and successful treatment. What Does a Low MPV Mean? “What Causes Thrombocytopenia?” National Institutes of Health, September 25, 2012; https://www.nhlbi.nih.gov/health/health-topics/topics/thcp/causes, last accessed November 21, 2017. “Eating for Health,” Platelet Disorder Support Association, 2017; https://www.pdsa.org/treatments/complementary/food-as-a-cure.html, last accessed November 21, 2017. “Information about other platelet disorders,” Platelet Disorder Support Association, 2017; https://pdsa.org/resources/other-platelet-disorders.html#low-platelets-other, last accessed November 21, 2017. Assinger, A., “Platelets and Infection – An Emerging Role of Platelets in Viral Infection,” Frontiers in Immunology, 2014; 5: 649; DOI: 10.3389/fimmu.2014.00649; https://www.ncbi.nlm.nih.gov/pmc/articles/PMC4270245/, last accessed November 21, 2017. “Warnings,” Platelet Disorder support Association, 2017; https://pdsa.org/about-itp/warnings.html, last accessed November 21, 2017. “How Is Thrombocytopenia Diagnosed?” National Institutes of Health, September 25, 2015; https://www.nhlbi.nih.gov/health/health-topics/topics/thcp/diagnosis, last accessed November 21, 2017. 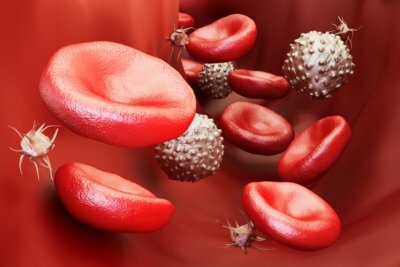 “How Is Immune Thrombocytopenia Treated?” National Institutes of Health, March 14, 2012; https://www.nhlbi.nih.gov/health/health-topics/topics/itp/treatment, last accessed November 21, 2017.